The new year is finally here. This is that time of the year when people are plowing into their nearest gym or fitness center, pushing to make progress on their healthier new year’s resolutions. But as you know, in a couple of weeks, those crowds will go back down as people choose to give up on their goals. So how can you make sure that you’re not one of the people that’s going to dump their resolutions? Well simply put, you’ve got to change your mindset to change your results. Bars Up Fitness is more than a fitness apparel line. It’s a fitness brand that believes in motivating and empowering people to make health and fitness their religion. We want everyone to know how important wellness is for you, your family, and your community. So, that’s why we want to make sure you find success in your healthy lifestyle goals! When we have the honor of coaching or counseling people at our boot camps or when they come by, we always lay the foundation of the core values of Bars Up Fitness: Focus, Commitment, Determination, and Discipline. If you’re like most people, you have a million things that are pulling your attention. This is amplified even more with the popularity and significance of social media in our daily lives. People are generally trying to deal with multiple things at a time, which can create confusion when it comes to creating and working toward your goals. That’s why you need to start your healthy journey with focus. You can’t have a general idea that you want to get healthy, you need a clear and concise plan. 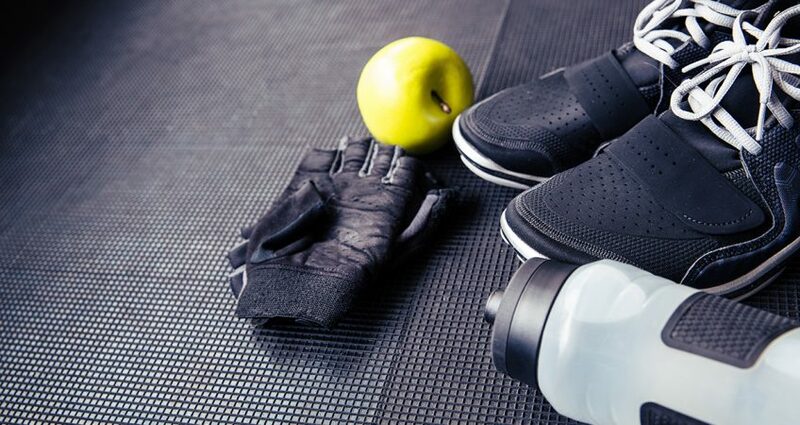 You need to make sure you have your workout’s schedules, your meal plans selected, and you are setting yourself up for a success in your environment. When you plan your day, plan your workouts at the time of day where you are likely to follow through with your plan. For example, if you are planning on going to work out after you leave work, be sure to take your clothes in the car, instead of stopping home first. If you have a hard time focusing in general, you may want to try meditation. This can be helpful to help you refocus and find your center. It doesn’t have to be a long time. Even a few minutes a day will give you an edge in moving toward your goals with clarity and purpose. Anything that you want to accomplish starts with a decision. You could know that you need to make healthier choices, but until you decide and commit to making those changes… it will remain an idea. That’s why it all starts with a commitment to you make changes in your life. Now this requires you to have a strong reason for your change. You should take some time and really think about what a healthier life would mean for you. Once you have created a concrete plan to get to your desired goal, it’s time to get connected to the emotional, mental, physical, and spiritual importance that this lifestyle change will have for you. For example, if you have children, how would it impact your relationship if you had more vitality, health, and energy? These are the things that you need to anchor yourself to when your willpower gives out. You should also find something that anchors you to the reasons you want to succeed. You ever notice how often we wear our Bars Up Fitness gear? Well it’s because this brand is a constant reminder that we are an example for our community. We have all overcome an obstacle or a challenge that reminded us at how bad@$$ we really were. Even if it wasn’t a physical challenge, it’s important to take the time to acknowledge the mental and emotional strength that you have shown in the past. Determination comes into play as the fuel that helps you to keep moving toward your goals. One way to stay determined is to makes sure you build small goals and milestones on your journey. This means that every time you crush a goal, you’ll be that much closer to your final goal. Momentum is a powerful thing, something in motion tends to stay in motion. You just must dig deep and keep going. Ugggh… that dreaded word! We anchor these 4 core values, because at the end of the day, consistency is the ONLY way you will get the results that you want. Don’t get us wrong… no one just wakes up and has discipline. It’s probably the muscle that you’ll have to train the hardest. Essentially making a positive change, is just the results of a bunch of positive habits. If you have a hard time staying disciplined, then be sure to get an accountability partner or trainer, that will keep you on track. There’s nothing wrong with getting help! In the end, we hope that you are successful with every goal in you are pushing toward in this new year.